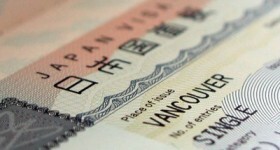 There are a number of visa options when looking at obtaining a Thailand Visa. This however depends on what your intention is with regards to Thailand. If you are wanting to retire, work, come to have fun or having married a Thai national you wish to live in Thailand. We have listed all the Thai visas for you. Having registered your marrige in Thailand you would need to obtain an “O” Visa or Marriage Visa from the Thai Embassy . This can be done by an attorney for you, that is helping you to not only register your marriage but also to help you apply for the Thai Marriage Visa. This visa is usually good for 90 days on entering Thailand however that is the easier part. Extending your Marriage Visa for a full year will require that you can show the financial requirements needed for your visa extension. Most expats simply use a law firm to do all the leg work for them. If you are planing on working in Thailand or starting your own company you need to apply for a “B” Visa or Thai Business Visa at the Thai Embassy. These much like the “O” Visa is valid for 90 days once entering the country. It would be easier if you contacted a law firm in Thailand that could not only help you apply and obtain the “B” Visa but also apply for your work permit and register your company. Work permits over the past year have become very complex with the global financial crisis. Speak to a reputable law firm to assist you with your company registration, work permit and Thai Business Visa. There has been much talk about this “T” Visa or Tourist Visa as the Thai government has waived the fee on the visa itself over the past 2 months. The tourist visa is not for seeking employment and you will not be able to apply for a work permit while in Thailand on a tourist visa. Tourist visas are for 60 days however they can be extended for an additional 30 days at immigration for a fee of 1,900 Baht. See a complete list on our website under Thailand Visa ! Hi there, I am a Pakistani studying in Brisbane. I am travelling to Pakistan somewhere in November. Can I apply for Thai Transit Visa at Brisbane Office? Please get in touch with the Thai consulate in Brisbane to inquire about applying for the Transit Visa through their contact details below. I am travelling to Thailand on 28/11/16 until 11/01/2017. I am wanting to do a short trip to Laos from 3/12/16 – 9/12/16. I am enquiring as to the best visa to apply for, or I am best to fly in and then apply for an extension when needed on my return. I am married to a Thai National who will be travelling with me. You may apply for a 60-day tourist visa to cover the duration of your trip. Before leaving for Laos, you can apply for a single re-entry permit at the immigration office near your residence in Thailand.